I hope you guys go gaga over this tablescape as much as I am. I am pretty sure I am head over heels in love with paper flowers lately because I have noticed that a lot of my daily inspiration has some sort of paper flower on it. This one is no exception. 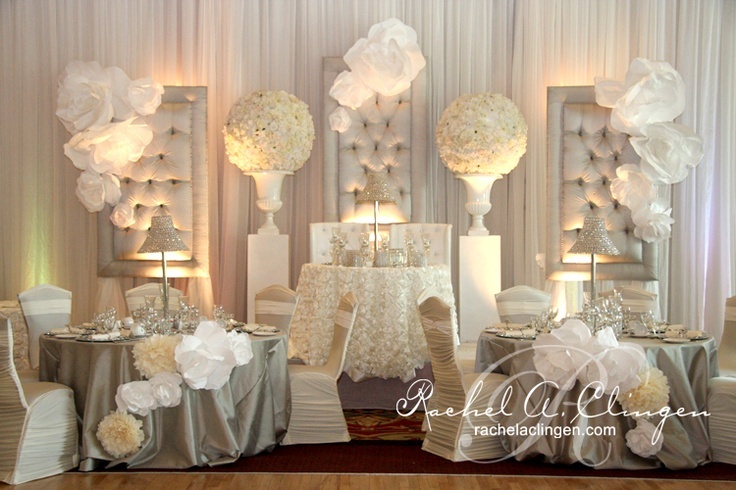 I adore the tufted boards with the giant tissue paper flowers on them. Then they show up again on the guests tables is such a beautiful display different colors and sizes. 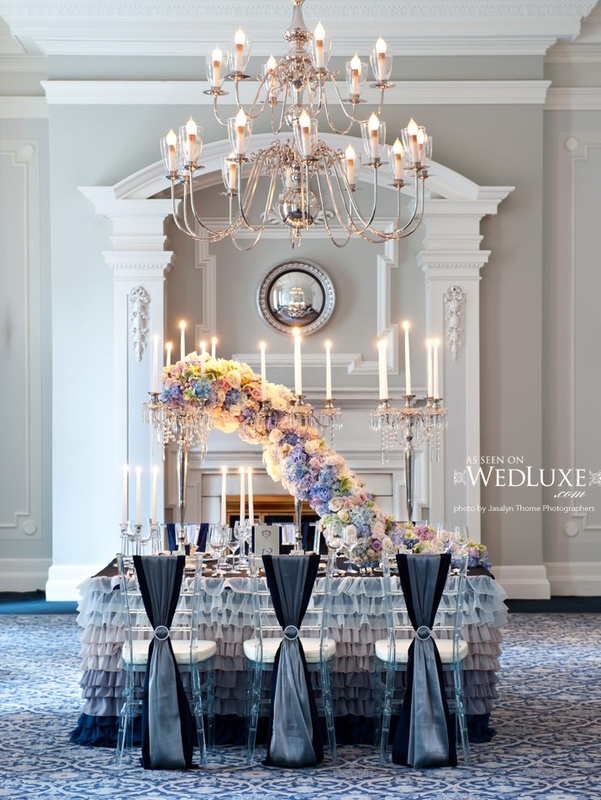 I am also loving the giant pomander balls on either side of the head table and the king and queen chairs for the happy couple! 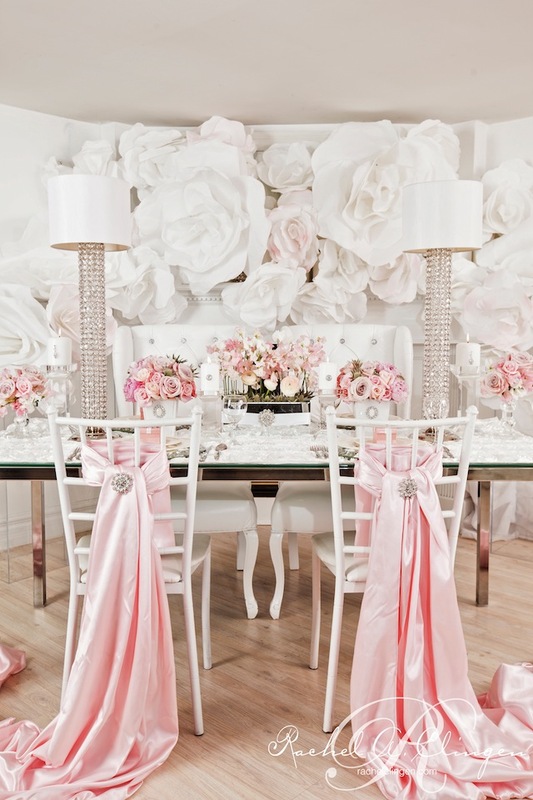 Let’s not forget the lovely spandex crinkled chair covers wither for the guests. Amazing!